RC, you serious about your miller claim? Because if you are then we have at least a 50/50 chance of lynching scum Day 1 and that's a great place to start. But a wagon implies more than one vote? Notorious prison & once home to Al Capone, now a museum with audio tour, accessible by ferry. 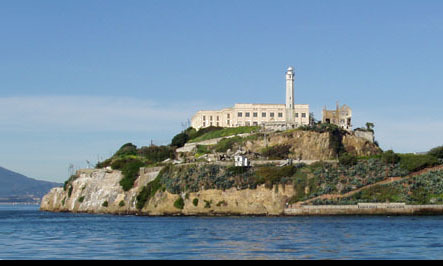 Welcome to Alcatraz Island in San Francisco, California! Your townreading me based on my vote on you? Fake claiming is very possible with miller. It is a common tactic. Tho you do seem to be saying the truth. This probably means RC has a good chance of being scum tho. what meta is this based on? I sence that you are sweating. You have been discovered! Thanks for supporting my scumread. This isn't even just scum!Firebringer. He was guised. Powerlynch ASAP. In post 54, Pepchoninga wrote: Fake claiming is very possible with miller. It is a common tactic. Tho you do seem to be saying the truth. This probably means RC has a good chance of being scum tho. Pepchoninga, could you explain more specifically why you think Firebringer's claim is more credible than RC's? Also, FA, if you really cared about me you would roll town this game. Well, for starters its the meta on the mafiascum wiki. Its good for millers to claim with there first posts so cops don't waist there investigation at night. Pepchoninga feels flat scummy but in a very newbie way. He might just be newbie. well - I know your opinion about anotora grey, only RC answers that please! They both seem fishy since you obviously can't fully trust fast claims like that, but Fires was first and RCa felt unnecessary and really just there to start something up. I do get quite insulted when I'm called a newbie. What makes you think I'm scummy? a scum should be idiot to claim miller. (I'm sure Fire and RC are not idiots - ) [I'm joking! I love you both] cause there is a meta to never let a miller reach mylo lylo. Too early for Garmr. I think my opinion of Anotora is pretty obvious. can you make a case about Anotora ? I like to see her response to such things to judge about her. In post 68, -Grey- wrote: Too early for Garmr. I think my opinion of Anotora is pretty obvious. Judging by your ISO it would seem like I'm the only one in the game you have an opinion of. It's because you do things and look at things by the book, using the site meta as a manual. It feels either scummy or newbie but I guess it's possible that you just approach things like that? In post 70, Anotora wrote: Judging by your ISO it would seem like I'm the only one in the game you have an opinion of. whats the meaning of that then? I don't know with rc I feel like he would be the type to counter claim a miller as both alignments. I agree with you about peppy feeling weird but I haven't made a judgement alignment it is through I could describe it. He just doesn't seem to want to get to deep into things. Everything feels superficial like it could be tossed aside latter in the game. It's early game through so I wouldn't expect to much and peps actually is a newbie so yeh.